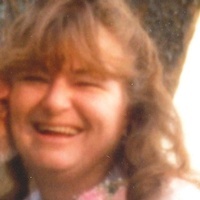 Patty L. McFarland, 58, died Friday, February 1, 2019 at her home. Born in California, Patty was the daughter of the late John W. and Erna Musser Skeen. Patty moved from Ohio to the Spring City community 25 years ago. She and her husband, Frankie, owned and operated the Ketch-A-Bite Restaurant in Spring City for 18 years. Patty was presently employed as a baker by Food City in Dayton. She enjoyed cooking and gardening. Patty was a member of the Bible Christian Fellowship in Evensville. She was preceded in death by her husband Frankie McFarland. Patty is survived by her daughters Jennifer (Adam) Bostic of Iquitos, Peru and Sarah McFarland of Chattanooga, brothers John (Kim) Skeen of Florida, Wendall (Lisa) Skeen of Texas and Mike (Kim) Skeen of Tennessee and grandchildren John, Gracie, Serabella and Abigail. Funeral services are Sunday, February 3, 2019 at 4:00 pm in the chapel of Vaughn Funeral Home with her daughter Jennifer Bostic officiating. Interment will be Monday, February 4, 2019 at 1:00 pm in the Corinth Cemetery in Corbin, Kentucky. The family will receive friends Sunday, February 3, 2019 from 2:00 pm to 4:00 pm at Vaughn Funeral Home. In lieu of flowers, memorials may be made to Patty’s Aftercare Fund, c/o Vaughn Funeral Home, P. O. Box 129, Spring City, TN 37381. Vaughn Funeral Home, Spring City, Tennessee, is in charge of arrangements. Please share your condolences and memories of Patty on our website www.vaughn-funeral-home.com. Next articleWilliam “Billy” Gordon Sharp Sr.